I've been on a mission the past few months to find my HG (holy grail) drugstore dry shampoo. Dry shampoo is an absolute must for me. My hair is the type that gets greasy on the scalp, yet is dry on the ends. I don't want to wash my hair daily and dry out my ends more, but I don't want to walk around with a greasy scalp either. I need a dry shampoo! I'm not new to dry shampoo, but over the past several years of cycling through many I haven't found a favorite. There are many I haven't tried in years and others I haven't tried at all. I decided to start with a clean slate and try as many as possible over the next few months. I figured I'd share my results with you all while I'm at it. 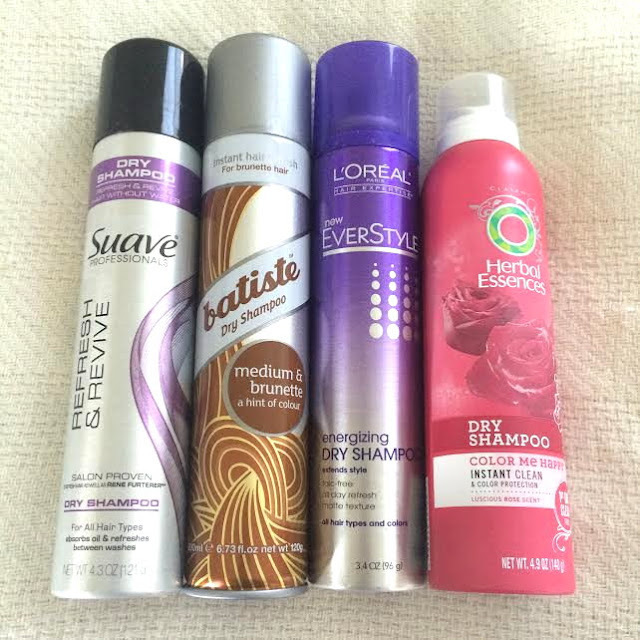 Dry shampoo has to be able to found at a major drugstore or big box store. I will test the dry shampoo in 2 separate uses. I know this may sound like very little, but dry shampoo unlike some other beauty products doesn't seem to improve over time or with more use. I will test/review 4 dry shampoos per post. The winner from each testing period will battle it out with other winners in a final post. Scent-What the dry shampoo smells like, and my reaction to the smell. Application- My experience with how the dry shampoo applies. Is it easy? Is there a gray cast?Etc. Effectiveness- How effective the dry shampoo is upon application and after a full day of wear. Hair Texture After Use- How this dry shampoo made my hair feel after I used it. Pros- What I liked about the dry shampoo. Cons- What I didn't like about the dry shampoo. Ranking & Sum Up- The end of each post I'll rank them, name my favorite, and sum up my overall experience. . 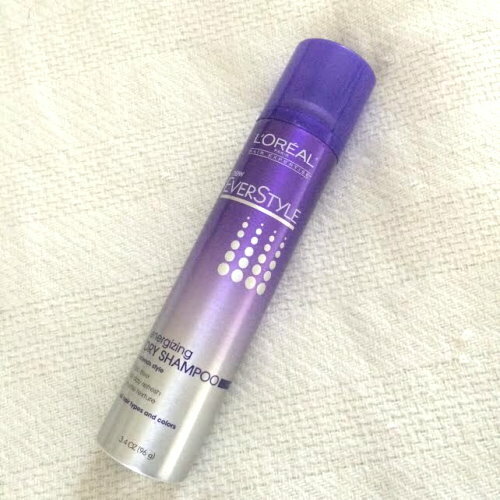 When using dry shampoo, I lift the roots of my hair and spray it on my roots. I rub it in my hair and let it sit for 2-3 minutes before brushing out. For reference I do have medium-dark brown hair. *Please note that these are my own personal experiences and opinions. Some of these I may hate and you may absolutely love or vice versa. I'm not dictating how you should feel about these products, but rather sharing my experience. Scent: This has a strong tropical fruit scent with a slight minty undertone. I'm not a fan of this particular scent, but I know others might like it. To me, this kind of smells like rotting fruit. It has this kind of musty smell to it. It's not horrible or revolting, but not pleasant either. I find this scent really lingers on the hair too. I would catch whiffs of it all day. Application: This applies easily, but it leaves a very stark white cast on your hair. This did brush out of my hair easily though. I found it blended in and didn't leave a gray cast. Effectiveness: I thought this dry shampoo was very effective. It absorbed the oil, and my hair felt and looked clean after use. I also found that it lasted well throughout the day. Hair Texture: This made my hair feel a little straw-like and dry. It wasn't bad at all, but it was harder to run my hands through hair at the roots because of this. Pros: This dry shampoo was very effective at absorbing the oil and lasting all day. I liked how my hair looked clean and fresh after use. Cons: The scent as effective as it was I don't think I can get past it. The was strong scent, not pleasant, and lingered throughout the day. The way my hair felt after application wasn't horrible, but didn't feel entirely natural either. Scent: This had clean and powdery scent. Powdery scents are not my favorite either, but this was very neutral. I didn't love it, but I didn't hate it either. This is lightly scented and it wasn't overpowering. Application: This is a colored dry shampoo. I will say even though it's colored if you do over do it, it does have a dulling effect on your hair color. This comes out as a darker brown color, but did not alter or darker the color of my hair. This applied easily too. Effectiveness: I thought at first this was a fail. I did not have instantaneous results with this Batiste dry shampoo. This one took about 10-15 minutes to take effect after application. This absorbed the oil well, and looked very natural in my hair. I did feel at the end of the day my hair wasn't as greasy as when I started, but the effects did wear off a bit. Hair Texture: This dry shampoo did not alter the texture of my hair after use at all. My hair still felt like my hair, and I could easy run my hands through it without detecting any product or change. Pros: Blended naturally with my hair color, did not alter the texture of my hair, and was effective and absorbed oil for majority of the day. Cons: It took a little longer to absorb oil than other dry shampoos, wore off a bit throughout the day, and the scent wasn't a a winner. 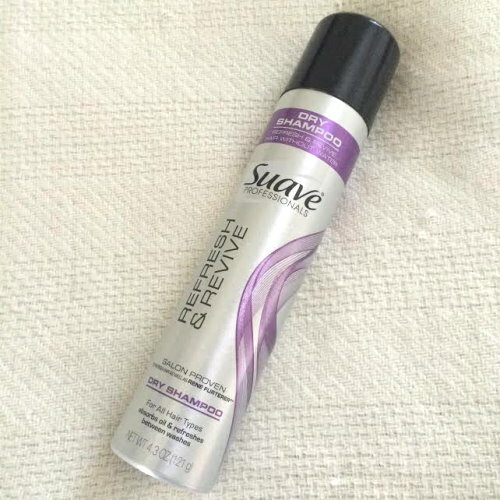 Scent: This dry shampoo had a very pleasant, clean, and fancy salon shampoo scent. This smelled like luxury shampoo. You know the shampoo that is like $30-$50 you can't afford, but smells heavenly. Needless, to say I LOVED this scent of this, and it was my favorite scent of the bunch. Application: This applied easy, and with zero white or gray cast. This actually sprayed on completely clear. Effectiveness: This is where this disappointingly goes south. I so wanted this to be the "it" dry shampoo. This had the opposite effect as the previous Batiste dry shampoo. Upon application this instantly absorbed the oil. I thought this was a winner, but 20-30 minutes after application my hair looked greasy, and I'd even say greasier than it did before I even applied it. I tried this on more than 2 occasions with the same exact result. Hair Texture: I don't feel this initially altered the texture or feel of my hair. It blended in naturally, but like I said before 20-30 minutes later my hair felt greasy again. Pros: Spectacular scent and no gray/white cast. Cons: Everything else that makes a dry shampoo worth it. This was completely ineffective for me. My hair was greasier than it was prior to use. This dry shampoo had zero staying power, and I'm completely bummed about it. 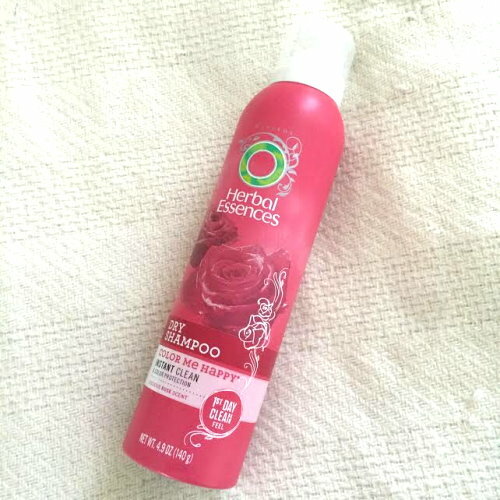 Scent: This has that classic floral and clean Herbal Essences scent. I can't describe it or put it in words really. I love this type of scent though, it's not as great as the L'Oreal dry shampoo scent, but it's good. Application: This applies pretty heavily. A lot of product comes out when you spray. This also does leave a slight white/gray cast, but not nearly as strong as the Suave one did. Effectiveness: This was very effective, almost too effective, which I'll get into next. This sucked all the oil up instantly in my hair and lasted throughout the day. This sucker is strong! My hair definitely looked clean after use. This does say color protection on the bottle. I'm not sure how a dry shampoo can color protect though? Hair Texture: This is where I found this too effective. This really made my hair feel sticky and dry. I had trouble running my hands through my hair, and overall my hair just didn't feel like my hair. Pros: Great scent and extremely effective at lasting oil absorption. Cons: Heavy handed in application and left my hair feeling straw-like and unnatural. This maybe due to how heavy this product applied. The only one here that I really had terrible results with was the L'Oreal one, which was the most disappointing since I loved the scent. I didn't have any real winners here either. I don't feel a strong desire to repurchase any of these unless I really can't find a favorite dry shampoo after all of my tests! I did have the best results with the Batiste with the Herbal Essences coming in a close second. I will have Part 2 up in the next 2-3 weeks! I'll be posting a preview of Part 2's contenders on my Instagram in the next few days! Nice review! I am the same, hair-wise: dry most of the time so I don't wash it every day, but my roots/bangs get oily. I haven't tried many dry shampoos, so I am looking forward to your reviews to see if there are some I want to try. As much as I love polish, these non-nail related posts are a lot of fun! I have long curly/wavy hair (it hasn't quite decided which yet) that is also dry at the ends. I do get a bit oily at the roots but mostly I don't wash it every day because it adds an extra 15 minutes to my routine! I really liked the Dove dry shampoo - found almost everywhere, usually less than $4, worked very well at absorbing oil, and I enjoyed the scent. Only problem was the whiteness, it's hard to brush out in my curls. My HG is Beyond The Zone dry shampoo for medium-dark hair which is I discovered at my local Sally Beauty. It's a little more $, around $7, but they often have BOGO free sales. Works as well as the Dove but no white powder! For extra volume I also love the Kenra platinum dry texture spray. It's usually around $15-18 and doesn't do much for oiliness but oh the vavavoom! Can't wait to see part 2! I will be following this series closely! I would love to not wash my hair daily, but I've never had success with dry shampoos (I have really fine, shiny hair so the least bit of oil makes it look like an oil slick). I'm hoping that I've just been using the wrong ones. I do have one from Tresemme now that I've tried a time or two and it works better than the previous ones I've tried. I'm going to follow this series closely too! I have trouble with hair too, mine being super greasy and I have to wash it every single day. Ohh, I look forward to reading the rest of this series! My hair is the same way with it being greasy on top and in my bangs, but dry at the ends. I typically shampoo the top of my head and bangs everyday, and wash all of my hair maybe twice a week. 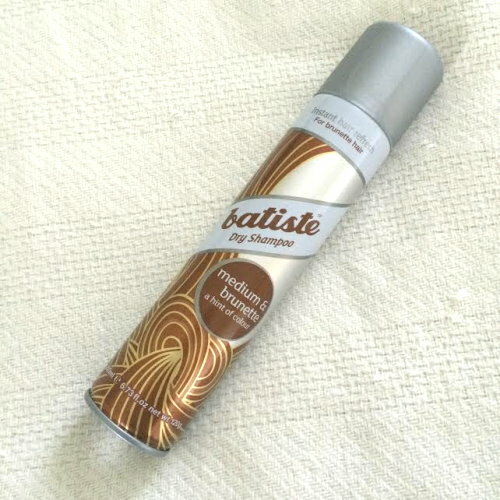 I use the Batiste dry shampoo, but I don't like it enough to completely give up shampooing. Maybe you'll help me find a better one! This is a fun series. I have only tried dry shampoo a few times and either I don't know what I am doing or I have been trying out crappy products but it makes my hair feel dirty and heavy and dries it out and stiff and looks like straw so it doesn't help it look any better either. It does give me texture though and makes hairstyles hold better with the texture. I don't like it for the above reasons but I may be using it all wrong since it is a must have for everyone but me. I have fine straight hair though so maybe it is my hair type? Maybe I use too much? Too little? I'm not experienced enough to know if it's me or the products. This series will be a help! What a neat idea for a new series. This is going to be so helpful for me since I've always been interested in trying out dry shampoos but I don't know which ones to try. Loved this...I already told you I love the Batiste brown spray so I'm happy it came out on top. Thank you! There are plenty to try! Thanks for all of the suggestions! I'll have to hit up Sally's to look for some dry shampoos because I think they're in my price range. Also, I'm pretty sure most cities in the country have Sally's, so people would be able to find it for themselves. The Dove one is in my next batch to try. I'll be testing it out on Tuesday! I feel you. It's a struggle to not wash my hair daily. I manage to make it to every other day. I tried the Tresemme one a few years ago when it first came out, and HATED It. I'll be re-testing it for this series though, it could be different now! I hope you find this series helpful! Thank you! I hope I can find a better one for you too. I'm determined! I honestly think, it's not you, it's the dry shampoo. There are some really bad ones out there. There are some that are just not great either. You can see I didn't find a real winner here, so it's not just you. I'm determined to find a good one though. I just hope I do. Thanks! I'm glad it will be helpful to you! Thank you! Yes, it was my favorite of the bunch! LOL...I tried the Tressemme one again yesterday just for kicks and it seemed like it did NOTHING. I swear it made my hair look dirtier. Haha! So far it looks like the Batiste is the frontrunner for one I might try next, but I will wait to see the others battle it out in your series before I make a final decision. Great to know I'm using the best of the bunch. Can't wait for the battle of the best ones! My hair is like yours where it's greasy at the top and dry at the ends. I am definitely in the market for a dry shampoo! I read through this the other day and I just love how you've done this review. I can't wait until the next part! I hope this series helps you! Pumped about this series! I have oily roots after a day too. Right now I'm using one I got in the Freeman Beauty Box last year and I really like it, but always interested in seeing what else is out there!